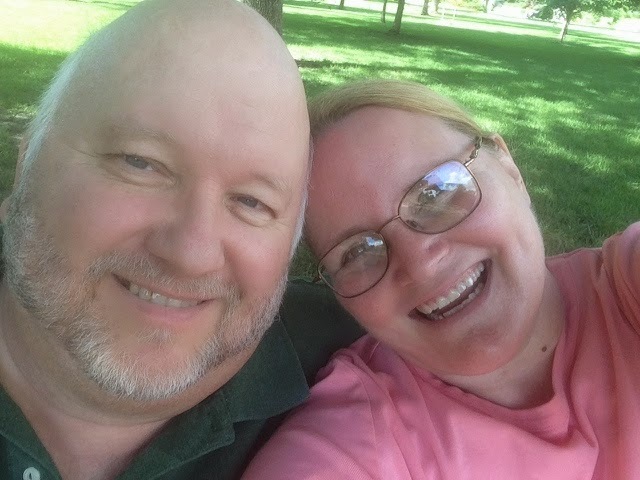 This is just a short post to let you know The Picky Eater, also known as my beloved husband, Michael Ditch, passed away early Thursday morning. His loving heart just wasn't strong enough to survive one more heart attack. Now I'm feeling a sadness that words can't describe. Once I get through these crazy days of saying goodbye and return to my new normal, I will post again. Cooking can ease the soul. And thanks to my fellow bloggers who have sent messages of support and encouragement. Oh dear Linda, I am so sorry to hear of your inconceivable loss. There are no words I can say to ease the pain. If there is anything I can do Linda, please don't hesitate to get in touch with me. Sincere condolences to you. I wish you strength to keep going. Take time, my friend. Cooking and writing can be great solace though, so we'll look forward to the day when life again looks more possible and you're back on this page. Oh, Linda. My heart is flying across the miles to you ... this is such sad news. I had heard and was waiting for you to break the news to all your cyberfriends before saying anything ... be well, dearie. Cherish the memories, hold your family tight, and lean on friends and fam during this hard time ... I am thinking of you. Linda, I'm so sorry to hear this. I'll be thinking of you, though I know that can't be much solace. Sending love your way. I am so sorry to hear this. I can't imagine how difficult a time this must be for you. I wish there was something I could do for you. Please let me know if there is. Will be keeping you in my thoughts and prayers. I am so very sorry for you loss Linda. I am very heartbroken that you husband has passed. You have been through much heartache and I am sorry for this. I am happy that you have known true love and you are one of the few blessed to have experienced this gift. I will always keep you in my prayers. Thank you, Catherine, and everyone for you kind thoughts.